The histories of the Church of England and the Methodist Church have been linked together for 250 years. In the 1970s, a proposal for unity failed narrowly. Now relationships between Methodists and Anglicans are stronger than ever, locally, regionally and nationally. Both are committed to the search for unity. What holds them apart? This official report of the Formal Conversations that began in 1999 sets out the common ground that has been rediscovered. It shows the strength of theological agreement, but also points out significant differences that require further work. Conscious of both the opportunities and the unresolved issues, the two churches asked the Conversations to draw up an agreement that would enable them to take a significant step towards future unity. The talks gave priority to mission and evangelism and paid special attention to diversity. This report proposes a national covenant, made up of mutual acknowledgement and mutual commitment. It should consolidate at the national level the many local and regional covenants that already exist and so prepare the ground for the next vital stage on the road to unity. 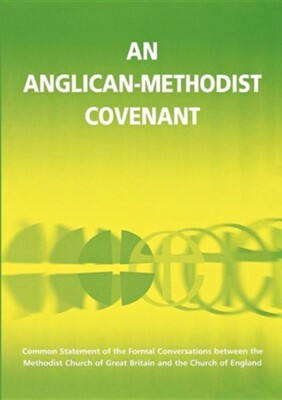 I'm the author/artist and I want to review An Anglican Methodist Covenant.